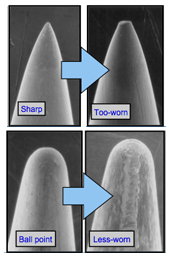 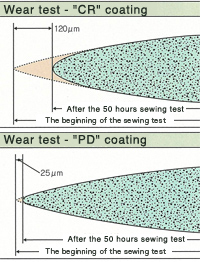 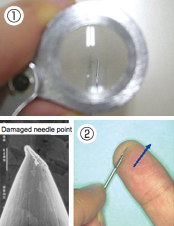 Troubleshooting "Needle Brekage"｜ORGAN NEEDLE CO.,LTD. 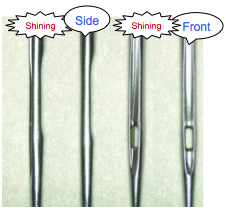 Roll some needles together as shown to right. 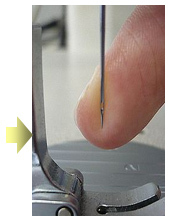 Compared to the point of the unbending needles, the point of the bending needles move from side to side.